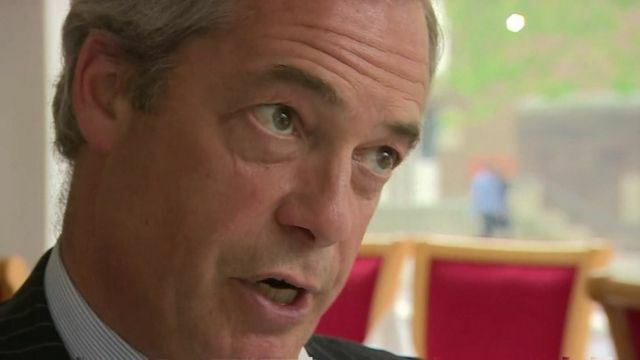 Migration anger 'could lead to violence' Jump to media player UKIP leader Nigel Farage, who is campaigning to leave the EU, has suggested that anger over migration could lead to violence on the streets. Vote Leave 'livid' over ITV's Farage choice Jump to media player Vote Leave says it is discussing legal action after ITV decides to put Nigel Farage up against David Cameron in a key EU referendum TV special. UKIP leader Nigel Farage, who is campaigning to leave the EU, has suggested that anger over migration could lead to violence on the streets.